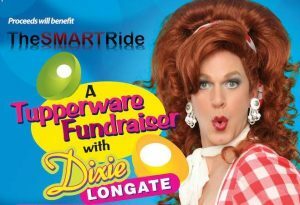 Hey hookers, I’m Dixie Longate, America’s favorite Tupperware lady. I come from Mobile, Alabama, but I moved my trailer with my kids to Los Angeles as part of the conditions of my parole. I started selling the fantastic plastic crap in 2001 and I have never had so much fun drinking for free in my life. Within a year, I was one of the top sellers in the nation because, well, me and some plastic bowls, and a bunch of drunk women somehow equals lots of sales. Proceeds benefit The SMART Ride and our mission to give back 100% of everything it’s participants raise to AIDS Service Organizations for those infected, affected or at risk for HIV and AIDS in Florida. VIP: Seating overlooking the stage from the mezzanine of Hunters. Bar Stool seating for a clear up front view of Dixie. VIP seating includes 3 complimentary beverages by your dedicated bartender and light hors d’oeuvres. Enjoy a night of hilarity with Ms. Dixie as she shares her tales of travel, her life as a single mom and her wonders of Tupperware. General Admission: G.A. provides seating on the Main Level of Hunters. Arrive early and secure a seat close to the stage (or not) and enjoy a night of hilarity provided by Dixie. Learn the wonders of Tupperware and a little bit about Dixie’s life. 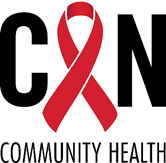 Proceeds benefit The SMART Ride and our mission to give back 100% of everything the participants raise to AIDS Service Organizations for those infected, affected or at risk for HIV and AIDS in Florida. to buy an Obama T-shirt and wear it. girl-empowering message of her show. This entry was posted on March 20, 2019 by Kevin Clevenger.